The leading landscaping business management software. Reduce your hassle and increase your profits for less than $1 per day. WHEREVER YOU ARE All your info. Anytime. Anywhere. ScaperSoft runs seamlessly across devices and platforms so your information is always with you. Manage your business on the go, in the field, or wherever you are on Mac, Windows, Windows Mobile, iPhone, and Android. 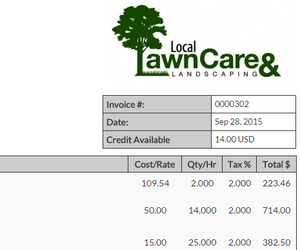 This is the best lawn care business software for the field or your home office. IF YOU NEED IT, IT’S HERE Built for Peace of Mind. Built for Success. Check out some of ScaperSoft’s Core Features by hovering over each image. 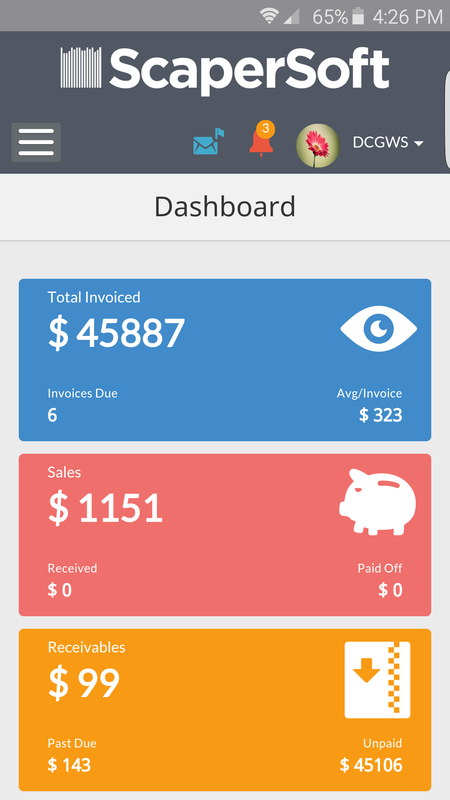 INVOICING Generate invoices based on property, time, and equipment. Send via email with a PayPal link. MAPPING See current and potential customers on our robust Google Maps module. 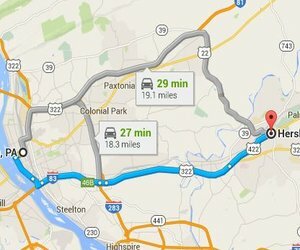 Plan and send the most efficient routes to employees via email and text message. 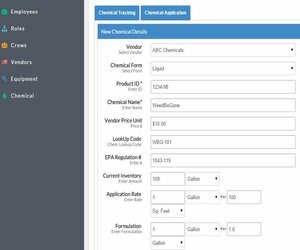 INVENTORY Track equipment, chemicals, fertilizer, and other consumables. Get maintenance reminders and see usage per property. Stay ahead of stock outs and critically-reduced chemical levels. SCHEDULING Centralized calendar lets you track single and recurring jobs. Print and email daily schedules to employees. ESTIMATES Create and send detailed estimates and get follow-up reminders. Customers can approve with a click. STAFFING Track start and stop times for each employee at each property. Manage employee schedules, vacations, sick time, time worked, and payroll. 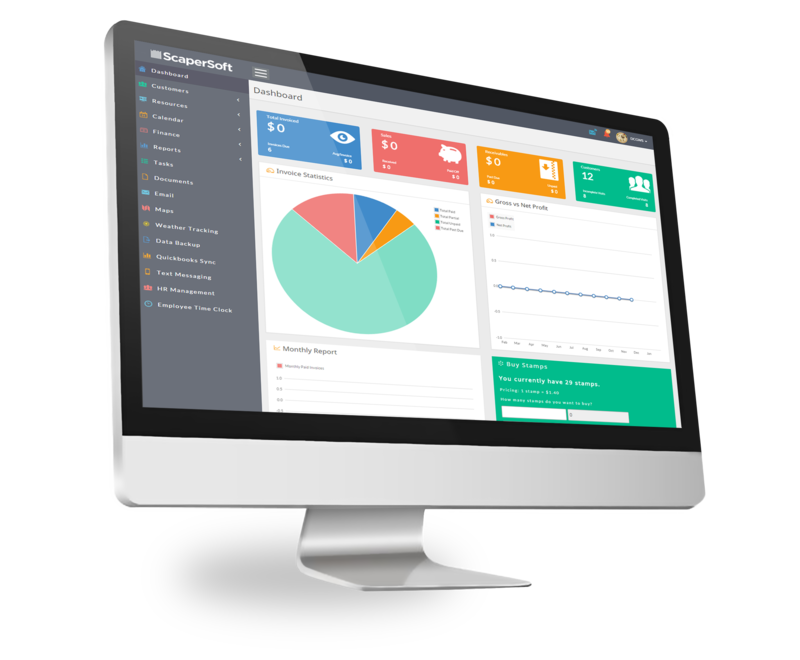 ScaperSoft is packed with all of the critical project and internal management functions you need to be successful. 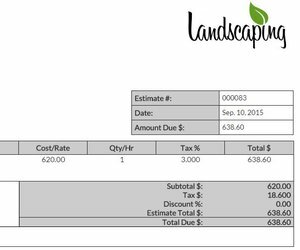 Designed by lawn care professionals for lawn care professionals, ScaperSoft will streamline your business and build your bottom line. 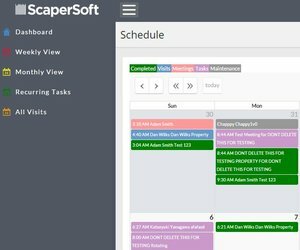 Your Project Hub From estimates to scheduling to time-tracking and invoicing, ScaperSoft centralizes all of your important property and project information. Also, take advantage of our robust calendar and scheduling tools that enable you to stay on time and on point, always. Multi-platform You’re always on the move, and ScaperSoft goes with you. You can access key information and business insights from your desktop, phone, or tablet. All of your data transfers over across devices seamlessly and instantly. 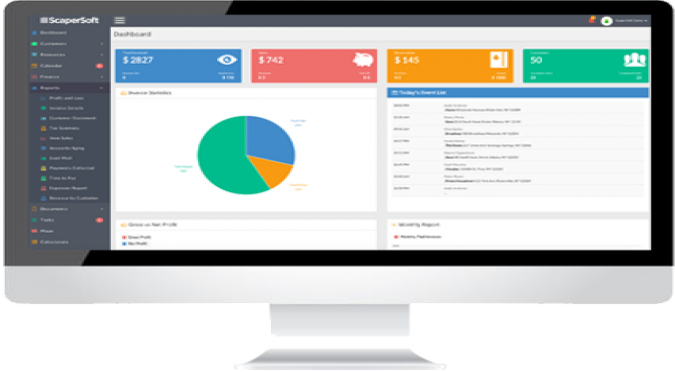 Business Insights ScaperSoft includes robust data analytics that will keep you up to speed on the vitals of your business. Gain insights into your gross and net profits, invoicing activities, receivables and payables, and several other data points that will keep you alert and focused on what matters most...making green. 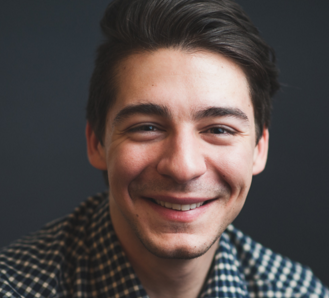 Watch it grow Track revenue, check invoice status, and send reminders. 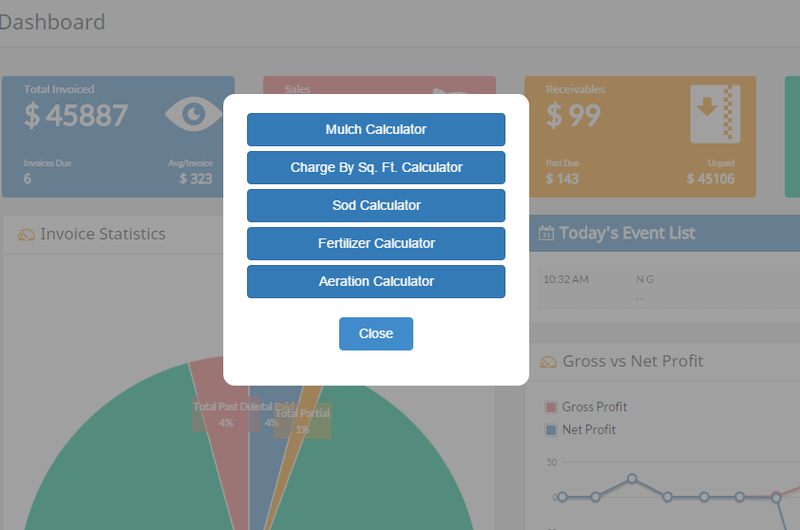 Analyze profits Easily see which properties and work are the most profitable. Invoicing options Print or email for online payment. Or let us do the mailing on your behalf. 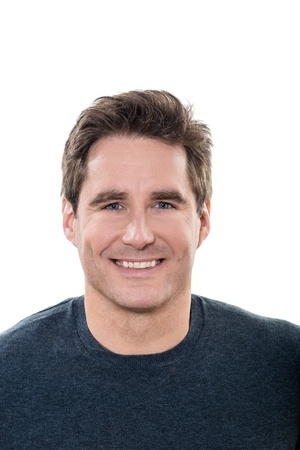 Enterprise Features Need the bells and whistles? We've got them. Weather Tracking Mother Nature can be unpredictable. 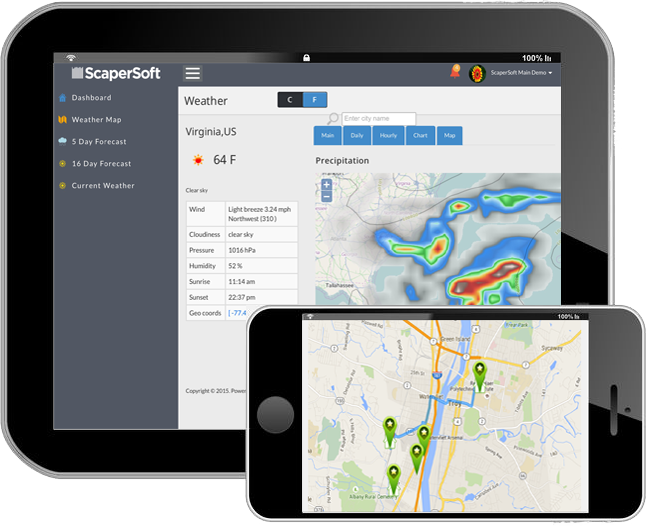 The ScaperSoft Weather Tool will keep you one step ahead. Track temperature, precipitation, wind speed, air pressure, cloud cover, and more. 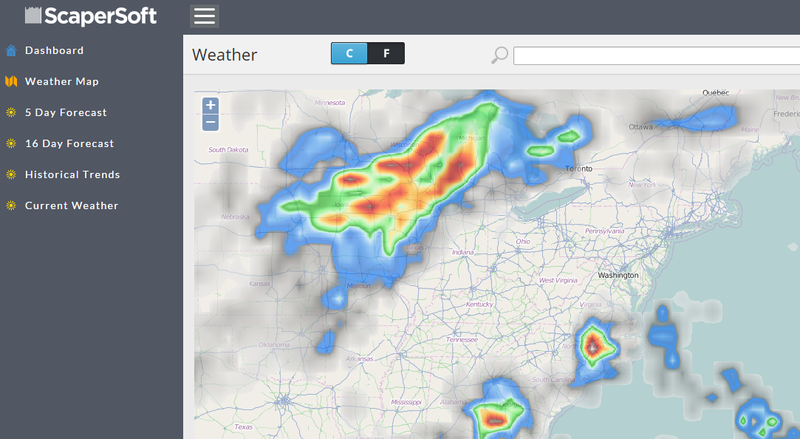 Also, our forecasting tools help you stay ahead of the game. Quickbooks Online Sync Has Quickbooks become part of your daily regimen? If so, you can quickly and easily import your core data into ScaperSoft. The days of switching back and forth between screens are over. This is a one-way integration meaning that you can import data from QB into ScaperSoft only. Text Messaging You can now send text messages to employees and clients straight from your dashboard. We provide you with a unique and available phone number and off you go. Our messaging rates are highly affordable and the convenience is unmatched. Data Backup Keep your data safe and backed up using the ScaperSoft backup tool. Keep all customer, property, and financial information saved to a simple CSV file on your local home computer. Peace of mind has never been this simple. Google Lot Size Calculator Easily and efficiently measure plots of land using our Lot Size Calculator powered by Google Maps. 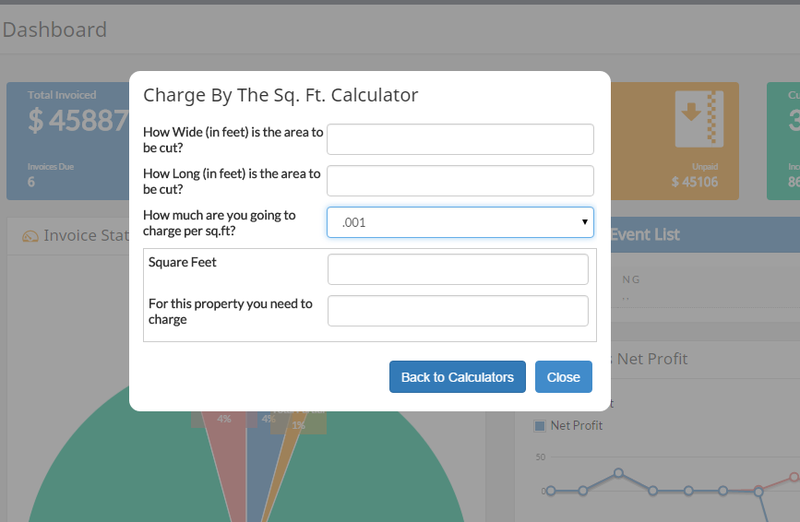 You can measure unlimited pieces of land per property from the comfort of your own desk. Estimating and quoting jobs has never been this quick, accurate, and stress-free. PROVEN IN THE FIELD ScaperSoft helps thousands of landscapers across four continents to organize their businesses and increase profitability. Jimmy W., Fort Lauderdale, Florida Owner We are so happy with ScaperSoft! 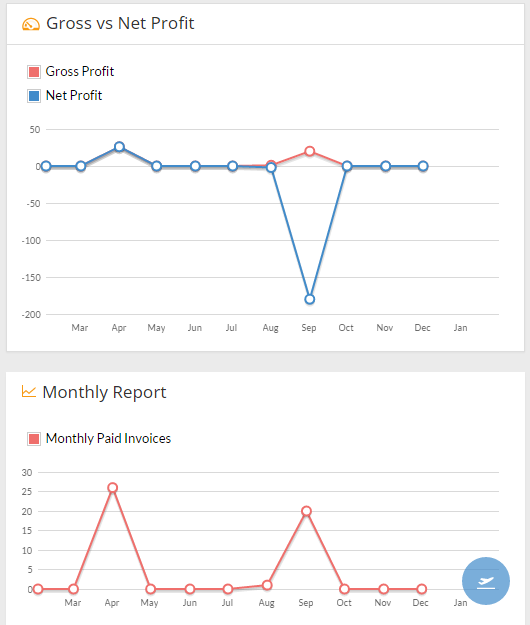 We process all of our invoices and manage customer balances and payments with this software. Recently we discovered the "Mailing" feature and it seriously saves so much time and our customers are happy with the return envelope and perforated invoices. Its like having our own secretary doing this for us while we are working in the field. 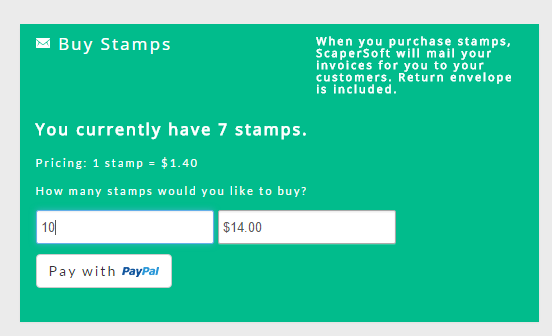 Instead of the hassle of printing - printer ink, paper, envelopes, and stamps it is all professionally done by ScaperSoft, amazing! Along with "Email" invoice and PayPal features it is a complete package. Customer service is the best! Mike C., Kansas Before using this software, my billing and expenses were a chore, but now everything is so seamless. I am able to track billing and expenses in great detail, and by customer if needed. At the end of each month I can send out all my invoices in a matter of minutes, in what used to take me hours. Another nice feature is the ability to schedule jobs using the calendar feature. Kyle J., Springfield, Missouri I would like to say that we are very pleased with ScaperSoft's services with our business. The calendar and scheduling features make it easy to stay on top of your activities. We really like having the ability to create invoices and even having ScaperSoft mail them out to our customers for us. The friendly and helpful customer assistance group have always responded promptly with any question that we have had. Robert T., Salt Lake City, Utah This is the best landscaping business software. 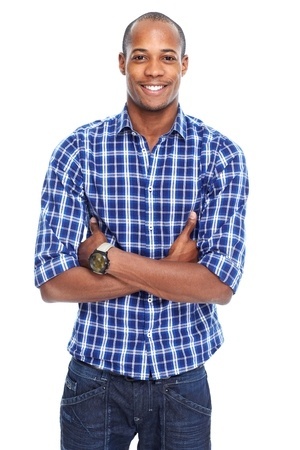 My billing and expenses were a chore, but now everything is so seamless. I am able to track billing and expenses in great detail, and by customer if needed. At the end of each month I can send out all my invoices in a matter of minutes, in what used to take me hours. 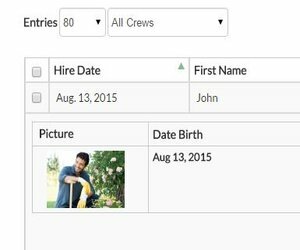 Another nice feature is the ability to schedule jobs using the calendar feature. With You On The Go and at the Office Feature Rich. Incredibly Simple. ScaperSoft is optimized for your desktop computers and mobile devices. Monthly Pricing Plans Get Started Now for less than $1 per day. Simple Pricing. Simple to use. Improve your business from day one. WHY WAIT? Small expense. Huge ROI. Unmatched affordability. 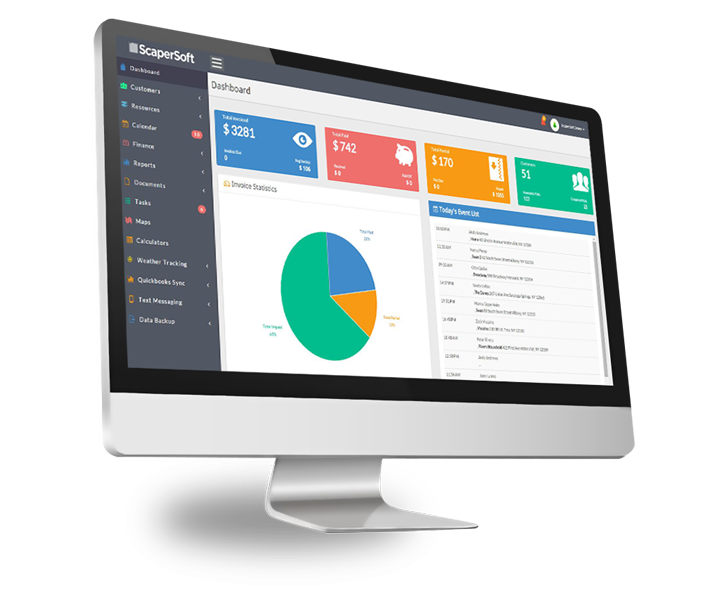 Get started today, and join thousands of ScaperSoft users saving money, driving profits, and increasing their competitive edge.